So now the Democrats have sued the Trump campaign, Russia and WikiLeaks over supposed “collusion” during the 2016 presidential election. But even as President Trump’s critics accuse him of going easy on the Kremlin, the hits from the White House toward Moscow just keep on coming. The latest sanctions have really spooked the Kremlin and the A-list target of special counsel Robert Mueller’s inquisition: oligarch Oleg Deripaska. 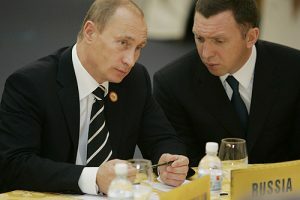 Mr. Trump’s new sanctions targeting the Russian financial system and individuals close to Russian President Vladimir Putin have hit Mr. Deripaska hard, putting a cloud over his controlling interest in the massive Russian aluminum company Rusal. The company has 60,000 employees, most of them in Russia. Rusal is the lifeblood for Russian towns where its factories are located. The sanctions have cut off its access to the global financial system. The company is at risk of bankruptcy and disaster for those dependent on it. The Kremlin knows this. Mr. Deripaska knows this. Known for his charitable giving, the oligarch recently declared he can no longer fund his favorite programs across the country. For its part, the Kremlin has publicly discussed nationalizing the company in order to save it, with Mr. Deripaska relinquishing control of the company as demanded by the U.S. Treasury Department to allow for financial relief for the company. U.S. Treasury Secretary Stephen Mnuchin has said that America does not want to hurt the ordinary Russians who depend on Rusal for their livelihood. The U.S. government “not targeting the hardworking people who depend on Rusal and its subsidiaries,” said the secretary. 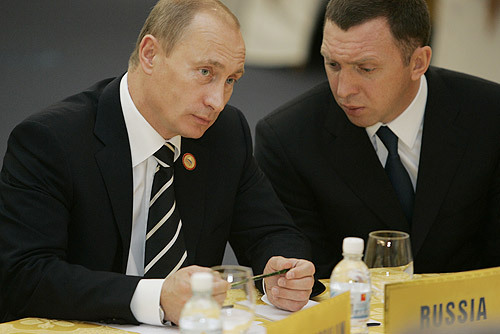 But now Russian media are reporting that Mr. Deripaska may accept “lower control” of Rusal in a bid to ease the sanctions pressure, while stopping short of selling his interest entirely. It is instructive to watch Russia struggle to respond to Mr. Trump’s canny moves. For all the bluster, the reaction from the Kremlin reveals that the sanctions are really starting to hurt. With the “Velvet Revolution” in neighboring Armenia fresh on everyone’s minds, civil unrest over the destruction of one of the largest Russian companies is not something Moscow will allow. This is a critical moment for the Kremlin. Mr. Putin’s circle has been able to navigate a collapse in world oil prices, Western sanctions, a recession and Mr. Trump’s missile launches against Russia’s ally in Syria. But the sanctions and the bulls-eye now on some of Russia’s richest and most influential people strike at the very heart of the oligarch system that greases the Kremlin’s policy wheels. Of course the Trump White House knows this full well. Once again we see The Donald applying pressure to an adversary like a laser beam, right where it hurts the most. This is the art of the deal. As Mr. Trump’s detractors here and abroad thrash about and scream collusion, the president continues to produce results. We’ve seen this in North Korea, China, Russia — and now Iran. The only question at this point is how the Kremlin will react. Perhaps we will see another rattling of the sabres with talk of “invincible” new nuclear weapons supposedly impervious to American missile defenses. Perhaps we will see another nerve gas attack, or another attempt to interfere in the internal affairs of another former Soviet territory. One thing is for sure: The U.S. tactics are not a joke. They strike at the very heart of Mr. Putin’s hold on power. The Russian people know this and are watching to see what happens. Perhaps the White House should remember Mr. Putin’s favorite saying — “Don’t forget we have nuclear weapons” — and devise a strategy for dealing with what could be coming next.